Harold Percy Dodson was born in Nelson on the 16th December 1887, the youngest of four sons in a family of seven. Harold and his siblings were raised from an early age by their mother Ellen Susan Dodson as their father, Henry, died in 1895 at the age of 45. The family lived in Cleveland Road, Nelson at ‘The Hills’ with the children all attending Central School. posted to as a 46227 Corporal Harry Reginald (Reg) Dodson. “A draft of the Nelson quota of the 29th Reinforcements left by the Alexander for Wellington last evening. The name H.P. Dodson is listed along with 23 others. On arrival at Trentham Harold was photographed by his older brother, Reg. Private Dodson arrived in Liverpool, England and then travelled by train to Tidworth where on the 16th August 1917 he was transferred to A Comp-any, 5th Reserve Battalion, New Zealand Rifle Brigade as 54019 Rifleman Harold Percy Dodson. Dodson was admitted to the 24th General Hospital with influenza on the 29th October 1917 and two weeks later evacuated to England and the No2 General Hospital at Walton-on-Thames. Rifleman Dodson remained at Walton-on-Thames for two months before being well enough to be transferred to the NZ Convalescent Hospital finally reporting for duty at the Reserve Battalion on 25th February 1918 and remained in England until the end of the war. Rifleman Dodson was able to visit his elder brother Reg who was in hospital at Brockenhurst in March 1918 prior to Reg being invalided back to New Zealand. Rifleman Dodson finally left England, on 12th April 1919, one of 1500 troops returning to New Zealand. 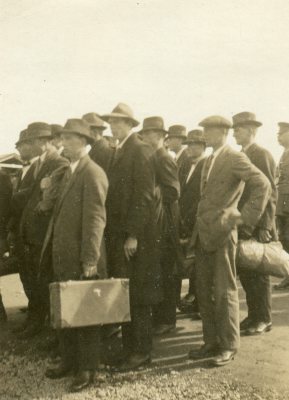 They arrived in New Zealand on the 30th May 1919 and were dispersed to their home areas. 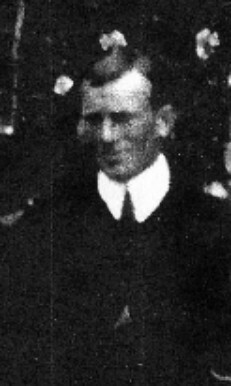 Rifleman Harold Percy Dodson returned to ‘The Hills’, Cleveland Road, Nelson for a reunion with his older brother and other siblings. Harold Percy Dodson was discharged from the NZEF on the 28th June 1919 ‘on termination of his period of engagement’ returning to civilian life. Harold moved back to the Tasman area the Nelson newspaper The Colonist noting in November 1919 that he was building a house in the area. Harold and Doris had three children, Noeleen Margarate, Agnes Ellen and Patricia Dodson. Harold’s death on 29th January 1972 was reported to the Defence department by his wife. Three brothers: Harry Reginald (Reg), Sydney (Sid) Reid and Harold Percy Dodson served in WW1 and fourth brother Herbert John Dodson was a dentist a reserved occupation.